What can I do for a great Christmas Gift? Stackables are smaller rings that are worn together for a bigger look. 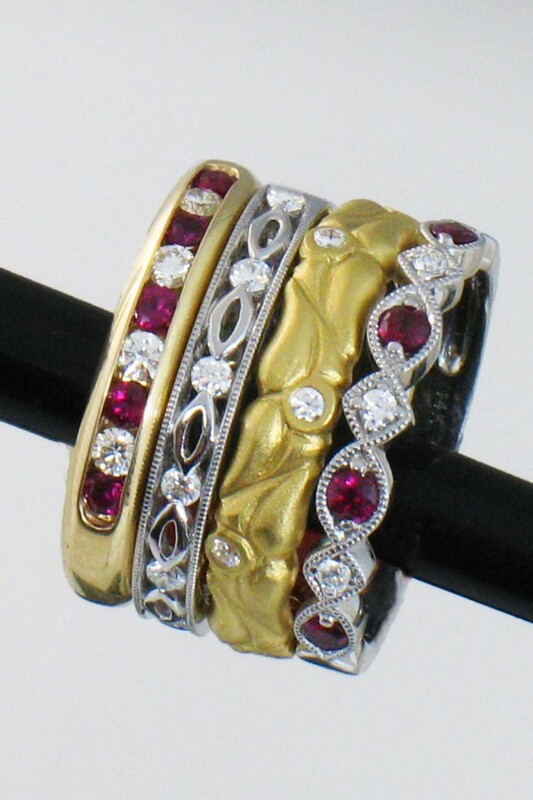 Stackable rings can be made with different colored gemstones and diamonds, a variety of metal types and colors. Stackables can be personalized to your taste. They can be worn with current rings or worn on a new finger. You can mix and match stackable rings anyway you wish. Stackable rings are a great idea for Christmas gifts as well as birthdays and anniversaries, you can use the same gift idea many times. Visit Hood River Jewelers to see or create your new Stackable rings.